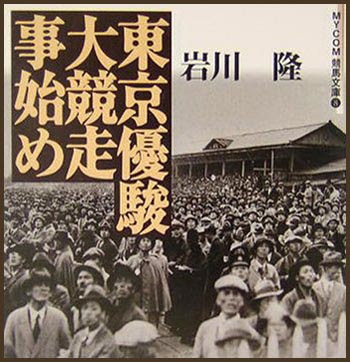 The inaugural Japanese Derby was held in 1932 at Tokyo's Meguro Racecourse before being moved to Fuchu two years later, where the race has stayed since. The distance has not changed since the first running, and 2004 champion King Kamehameha owns the race record at 2 minutes, 23.3 seconds. The race starts from Tokyo's home stretch for a straight run of 400 meters, before leading into the first lefthanded bend. A turn of 550 meters invites the backstretch ahead of the last two turns. The first 225 meters on the final straight of 525 meters slopes upward. The 77th Tokyo Yushun (Japanese Derby) is shaping up to be one of the best ever in the race's history with a superb cast set to fill the 18 gates on May 30, 2010 at Tokyo Racecourse. ashizoroe 足揃（あしぞろえ） "getting the legs together"
A special horse race in the compounds of Kami Kamo Shrine in Kyoto. The "getting the legs together" was held on the first of the fifth lunar month. The racers were divided into two groups, left and right, with two horses racing at the same time. In the first round, the horse from the left group had to win, this was the "free run". The jockey on the left horse wore red hakama trousers, the one on the right side black. They wore special hats and had iris flowers around their hips. They have to run six rounds to find a winner. If the left side wins, there will be a good harvest in this year. The tradition dates back to the middle of the Heian period, around 1093. Horse racing events. 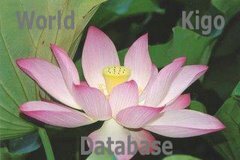 Also called kioiuma, komakurabe or keiba. From ancient times such events were held at the court, but during the Heian period (794-1191) they came to be performed by military officers as displays of martial skill and they also took on the character of events to dispel early summer pestilence during this period. These events came to be performed as part of the annual observances of the fifth day of the fifth month (Boy's Festival). An equestrian archery contest (umayumi, mayumi, kishin) was held on the on the fifth day and was followed on the sixth by horse races (also archery and other equestrian events). Members of the imperial guard would be divided into two sides (left and right) and compete in a series of races. It was at this time that costumes and equestrian methods were fixed. 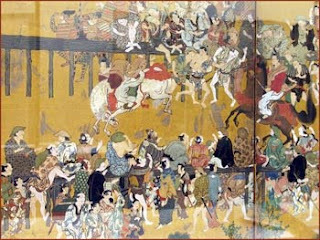 The Engishiki records the offering of horse running at several shrines, including the Upper and Lower Kamo Shrines, Ōmiwa Shrine, Kasuga Shrine, and Ōharano Shrine. In particular, the races on the fifth day of the fifth month at Kamowake Ikazuchi Shrine were a popular event in the capital area and drew large crowds. Races were held at various regional shrines as well. The tenth volume of the Kokon Chomonjū includes the following reference to a shrine race: "On the shrine grounds the horse races are held first. In the case of the court ceremony, the event begins with the white horses." This is probably a reference to the races at the Kamo Shrine. In any case, it can be said to indicate how horse races were incorporated into Shinto ceremonies. There are also horse races in which the horses run riderless. Car racing event for Cub Scouts in the Boy Scouts of America. Formula One, also known as Formula 1 or F1 and referred to officially as the FIA Formula One World Championship, is the highest class of single seater auto racing sanctioned by the Fédération Internationale de l'Automobile (FIA). The "formula", designated in the name, refers to a set of rules with which all participants' cars must comply. The F1 season consists of a series of races, known as Grands Prix (in English, Grand Prizes), held on purpose-built circuits and public roads. The results of each race are combined with a points system to determine two annual World Championships, one for the drivers and one for the constructors. The racing drivers, constructor teams, track officials, organizers, and circuits are required to be holders of valid Super Licences, the highest class of racing licence issued by the FIA. is a single-seat, open cockpit, open-wheel racing car with substantial front and rear wings, and an engine positioned behind the driver. The regulations governing the cars are unique to the championship. The Formula One regulations specify that cars must be constructed by the racing teams themselves, though the design and manufacture can be outsourced. The number of Grands Prix held in a season has varied over the years.